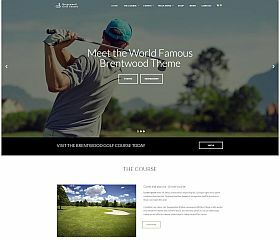 Brentwood delivers an unmatched experience in both design and functionality for golf sites. Nearly every feature of the theme and your design can be customized to your liking and includes features like: drag-and-drop page builder, unlimited color schemes, Revolution Slider included, built-in mega menus, optimized for SEO, responsive and Retina-ready, and many other features you’re sure to love. Tee Up is a golf theme that features a modern, clean, and sophisticated design that will be sure to catch the attention of your visitors. 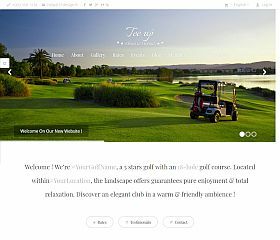 Creative design elements are present throughout the full-width layout design, and include special content areas for rates, testimonials, photo gallery, upcoming events, news/blog section, and an area for sponsors – it’s a perfect choice for a golf course, club, or site related to the golf industry. Golf Club was designed to handle nearly every aspect of your golf site. Whether you’re operating an instructional site, golf course, blog, or any other type of site related to the sport. Features include: custom events management, shortcodes and widgets, built with HTML5 and CSS3, multiple page layouts and header options, optimized for performance, AJAX search functionality, and dozens of other extras are built into the theme. 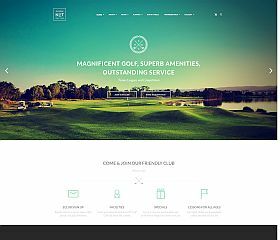 N7 features a beautiful design for golf sites, it’s highly adaptable and versatile enough to work across a wide range of styles and types of sites. 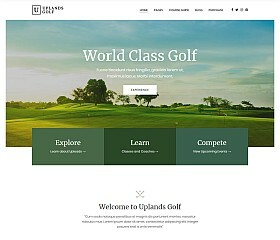 Whether you’re setting up an instructional site or golf course or club and want to make reservations, or you’re wanting to set up a site for a golf team or market your pro lessons or services – this theme will meet your needs. 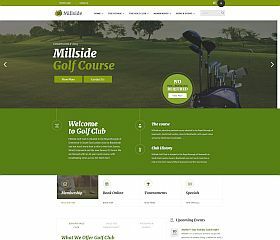 Millside is a theme that can be used for a variety of different type of golf or sports sites. 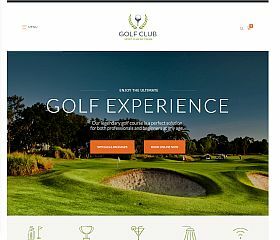 Whether you’re wanting to setup a country club website (with event listings built into the theme), a golf course (with online inquiry functionality), or a pro shop that is powered by the WooCommerce integration – it’s a flexible and versatile theme that can be customized to suit your needs. Westwood is a robust golf theme that comes with hundreds of customization options, allowing it to work great for driving ranges, golf courses, and pro services. 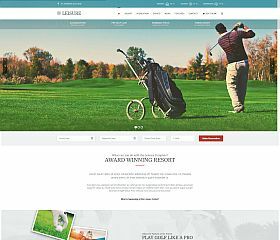 Golfer is a simple, responsive, and straightforward WordPress theme built for golf clubs and golf-related sites. Features include: responsive and mobile-friendly layout, contact form built-in, photo gallery section, services and blog section, and the ability to customize various features via the admin dashboard. 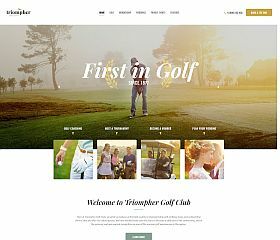 Triompher is a multipurpose golf theme that is versatile and flexible enough to work for golf courses and clubs (including accepting bookings), an online store (via WooCommerce integration), or professional golf services, coaches, and trainers (visitors can even book appointment times online). Hotel Leisure is a theme that provides the perfect solution for golf resorts. 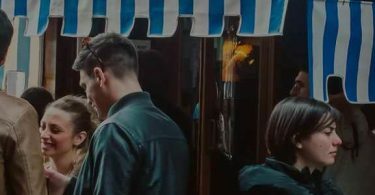 With online booking, LIVE weather display, and dozens of other features – it’s a state-of-the-art theme that is sure to capture attention and revenue for whatever type of site you’re needing. 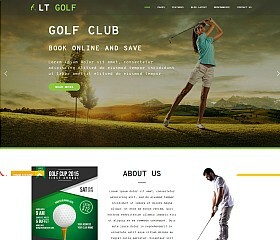 LT Golf is a child theme for the Genesis framework that gives you an unmatched site in terms of performance and design. 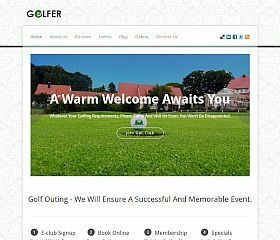 Optimized for SEO, the responsive design looks great across all devices and is the perfect choice for any golf pro, course, services, or products. 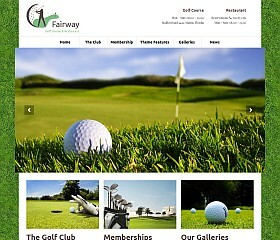 Fairway is a simple and straightforward WordPress theme for golf sites that will give you a clean design to share your products, services, or content. 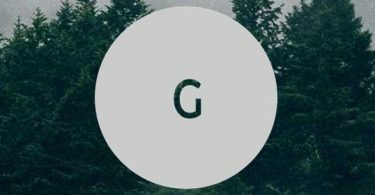 Whether you’re looking to start a golf blog, set up a site for a golf course or club, or market pro services, lessons, or tips – these themes should help get you up and running in no time.